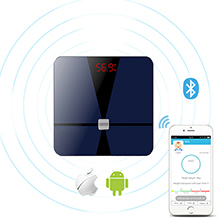 Free User-friendly App: Simply download the New iWellness APP on Apple APP/Google Play, all the data can quickly sync to your device via Bluetooth 4.0 technology for the comprehensive body analysis results. 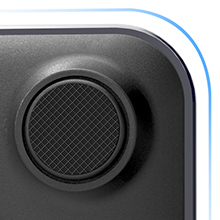 You can weight yourself anytime without your phone. 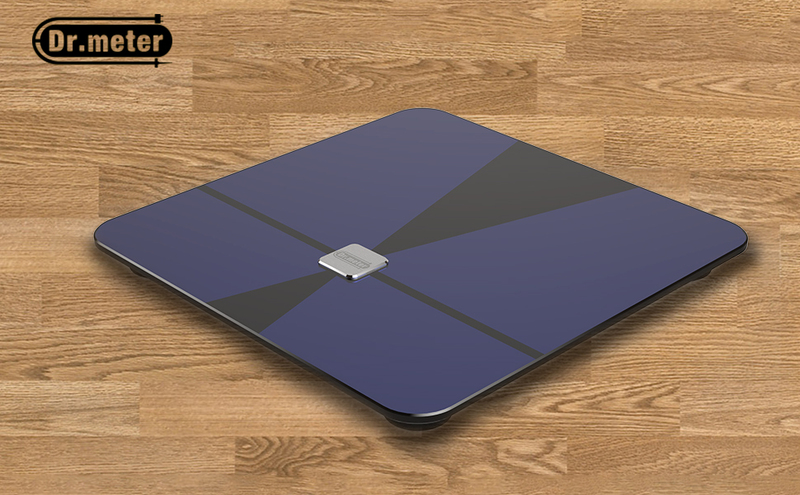 Did you know that losing weight doesn¡¯t always equate to being trimmer and healthier? The dip in weight may be a loss in water weight after sweating it out while sitting on your tanning bed, doing absolutely nothing at all. 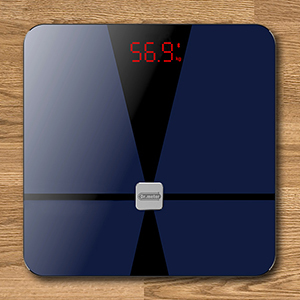 Lucky for you, the Dr.meter digital body scale allows you to get on top of your health game with a scale that shows more than just your weight. 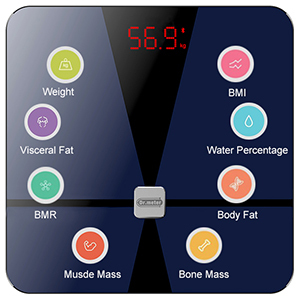 Using Bio-electrical Impedance Analysis (BIA) Technology, the scale monitors 8 important body compositions. 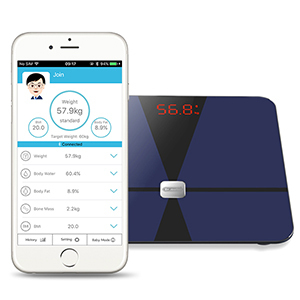 Mainly your weight, visceral fat, BMR, BMI, bone mass, muscle mass, body fat and water percentage. 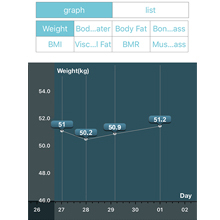 Allowing you to truly understand if you¡¯re shedding the fats and growing muscle mass with your latest workouts and diet plans. 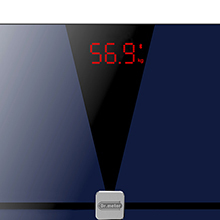 Kick start your healthy lifestyle today, with a scale that keeps you right on track.